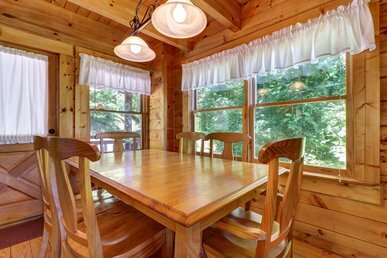 "Mountain Perch " # 2134 is a private, custom-built, pet friendly cabin with mountain views. 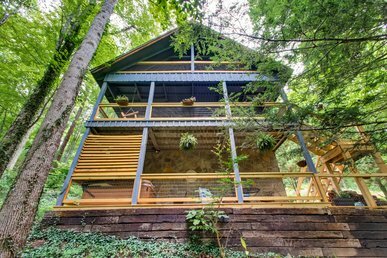 This private peaceful property surrounded by nature is the perfect vacation destination for anyone looking to relax and unwind in the Great Smoky Mountains. 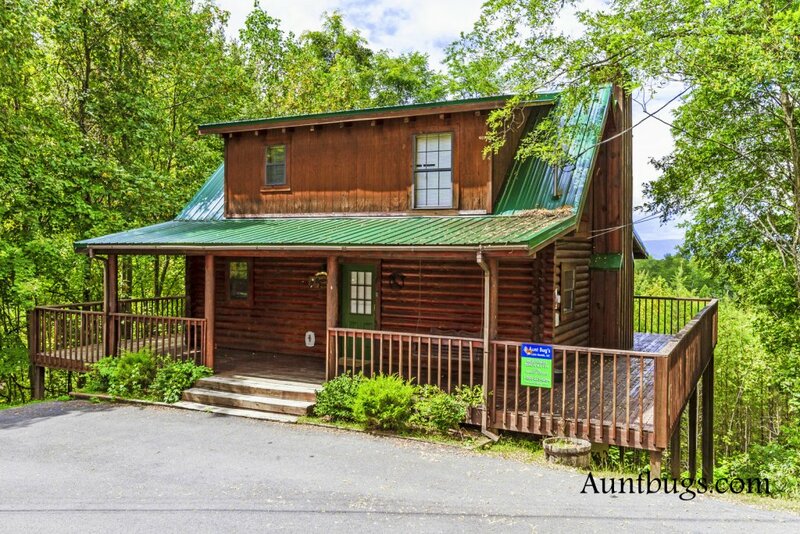 Located in Sky Harbor, between Gatlinburg and Pigeon Forge. 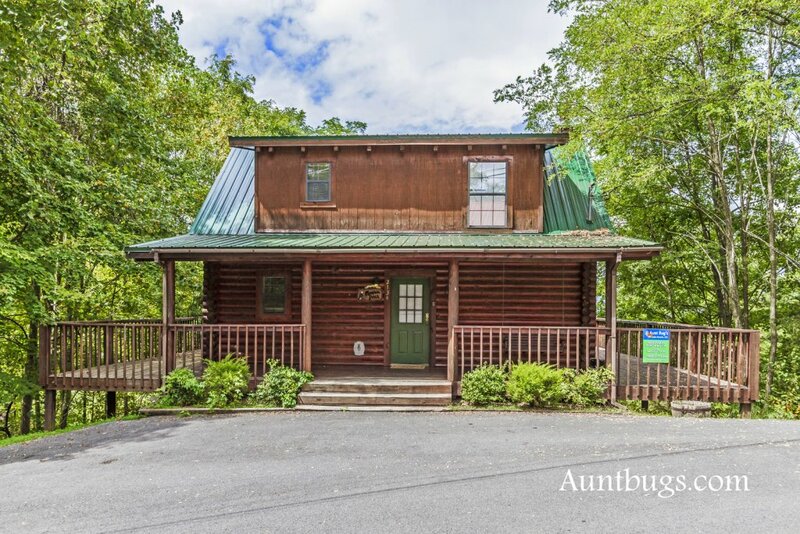 This property is convenient and close to both areas and would be approximately a 10- minute drive to either. 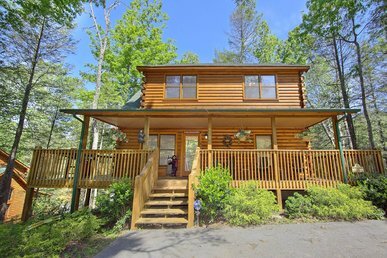 This property offers paved roads all the way up to the cabin, but inclines and curves would not make this property motorcycle friendly. 4-wheel drive may be needed in inclement weather and we do not recommend trailers. Comfortable parking for up to 2 vehicles. 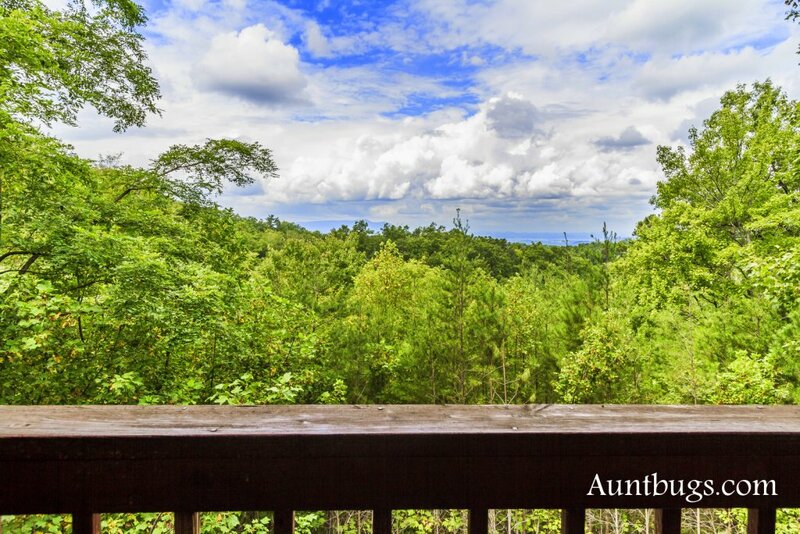 This 2-bedroom, 3 bath unit that sleeps 7 is 3 levels. There are 3 steps to reach the main level. 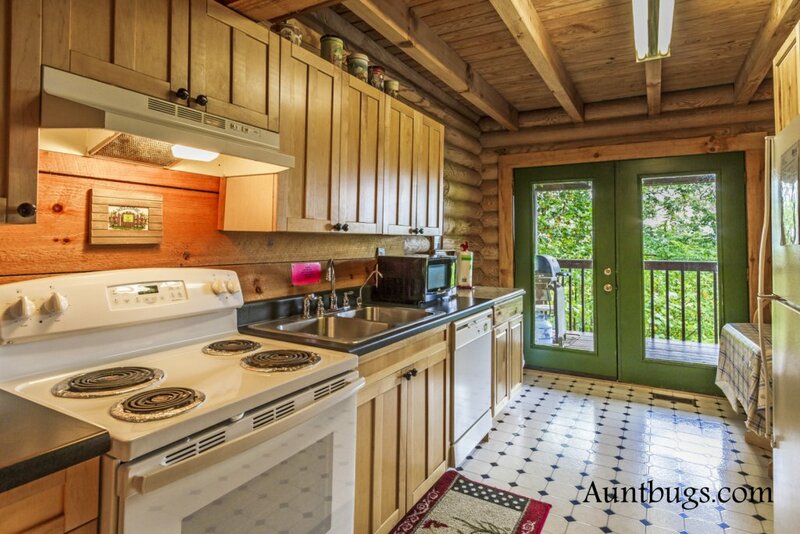 On the main level you will find a fully equipped kitchen with dining for 4. 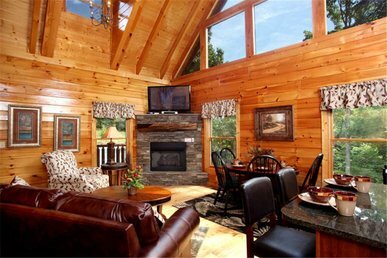 The living area offers a Queen sofa sleeper, Wood burning fireplace, a recliner, and a flat screen TV. 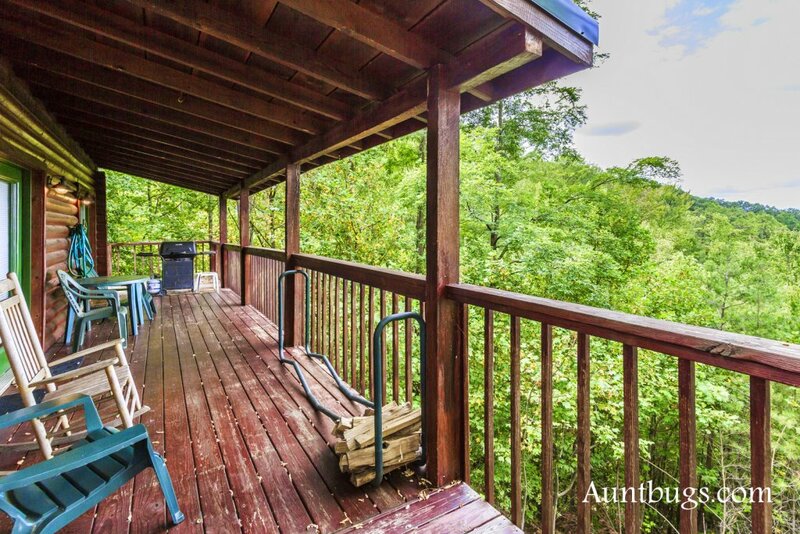 This level has deck access to the wrap around deck that offers both picnic tables, a gas grill, and offers beautiful mountain views year-round. 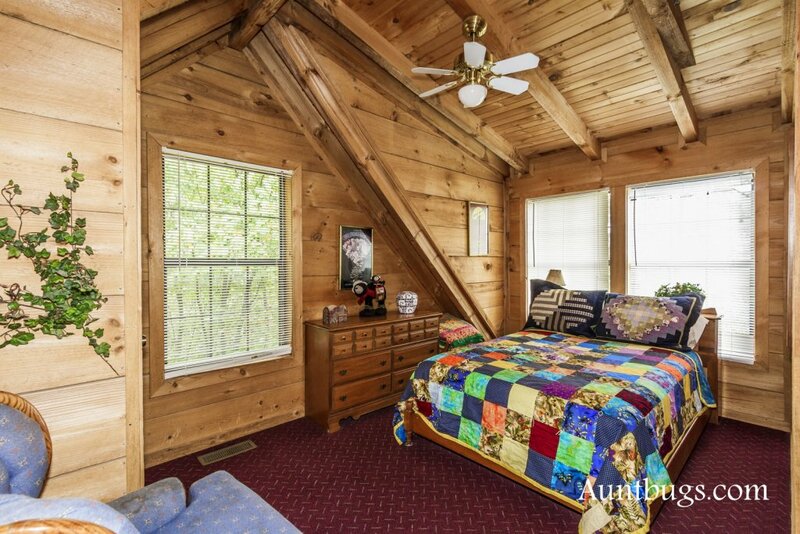 In the upper open loft area, there is an open loft Queen bed, and a semi private King bedroom. 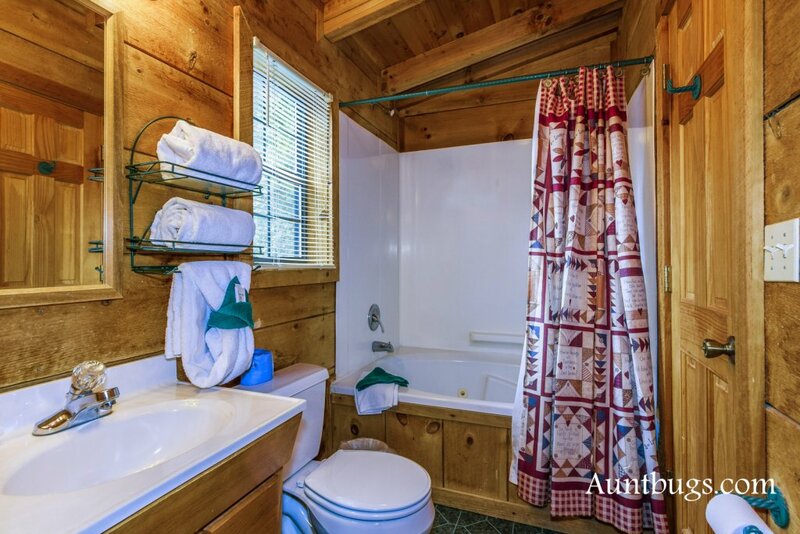 There is a shared bath with a Jacuzzi tub and a walk-in shower. 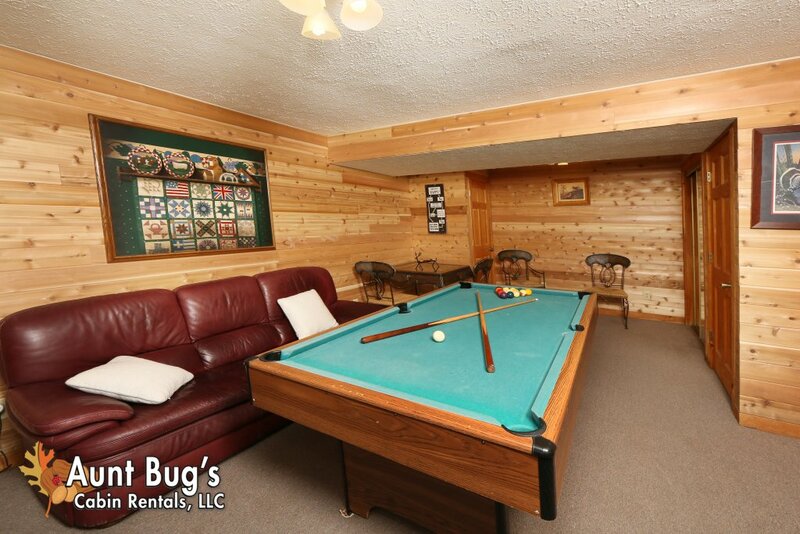 In the lower level, you will find a game room with a pool table, a couch and bar seating, as well as the washer & dryer. 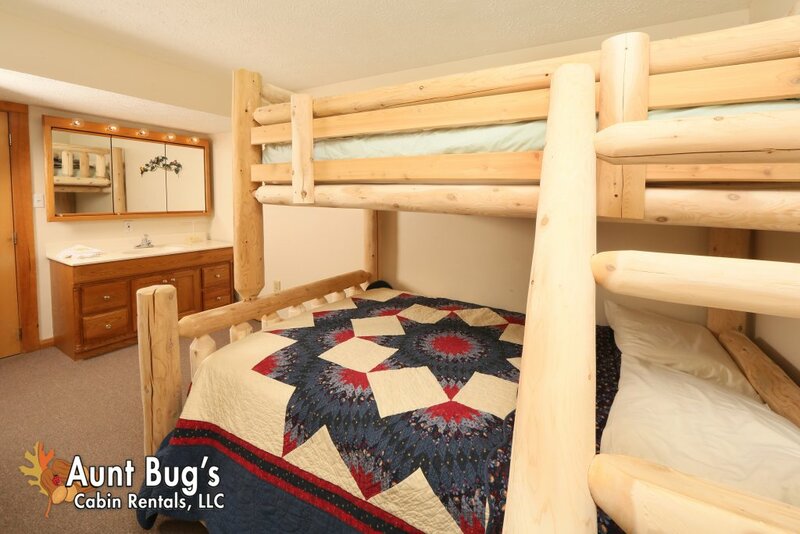 There is a bedroom with Twin bunk beds, and a private bath with a walk-in shower. 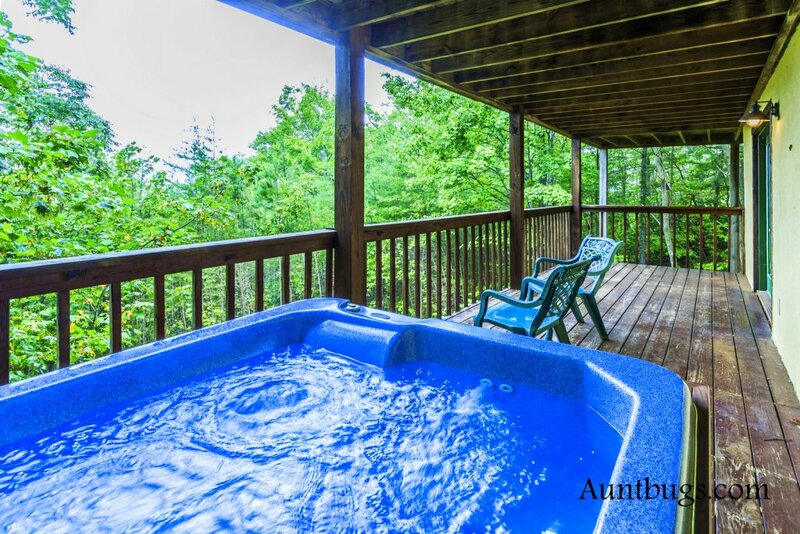 The lower level deck holds the relaxing hot tub, perfect for relaxing and enjoying the scenery that surrounds you. 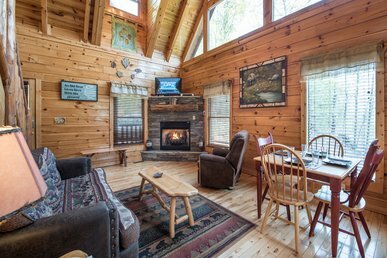 If you are looking for a peaceful, private cabin, surrounded by nature with all of the amenities you could ask for, including WIFI, "Mountain Perch" is the perfect cabin for you! 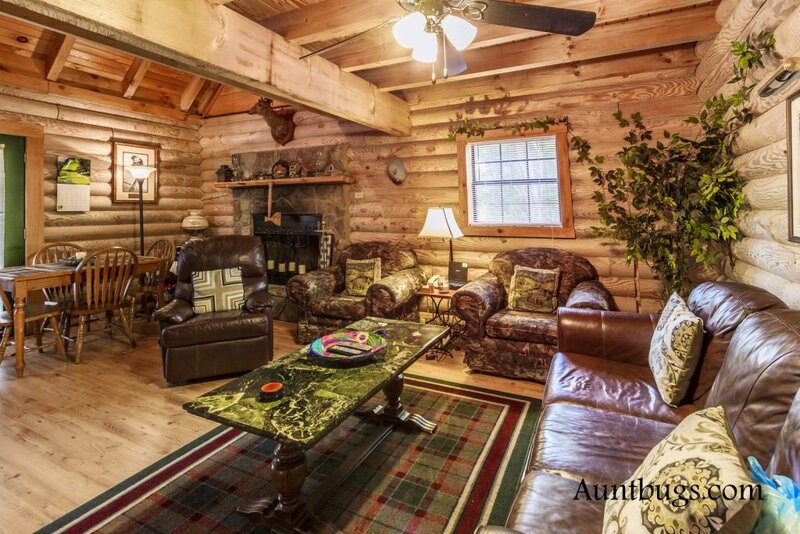 Don't miss out --- Call us today to book this beautiful cabin. 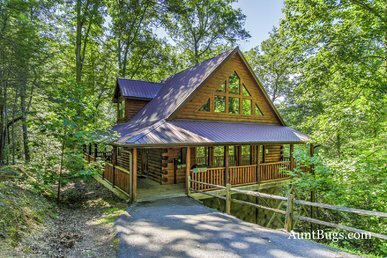 Price is up to 4 adults. Each additional person is $12.50 nightly. 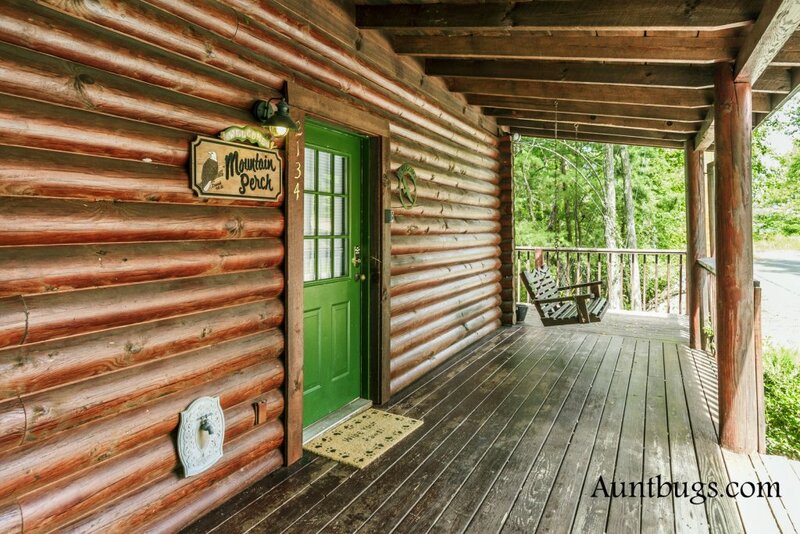 (Kids under 12 are free) Must be 21 years or older to rent this property. No Smoking !! Staff was super easy to work with and friendly. 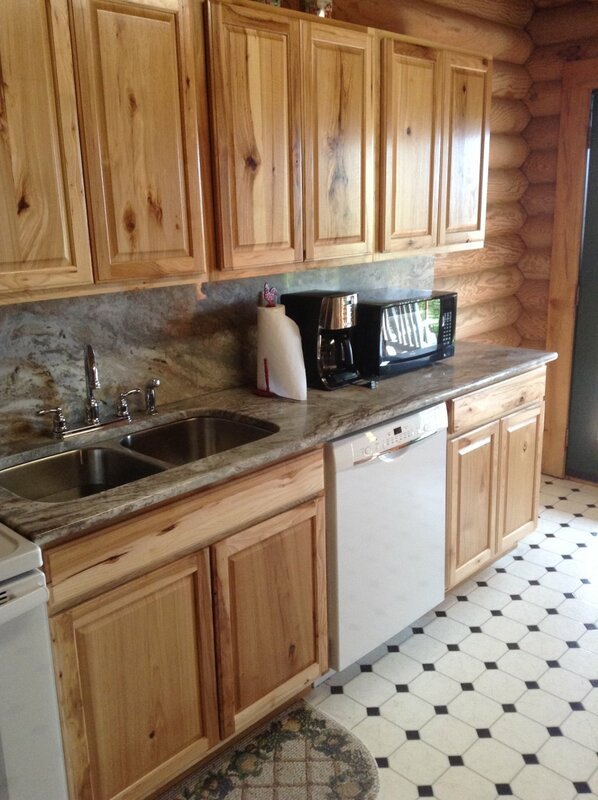 We bad a problem with our grill, called the office, and maintenance was at the cabin within 30 min. Couldn't be fixed, so they had a new grill at the cabin first thing in the morning!The only negative thing I can think of is the TV had essentially no cahnnels other than local. There's a DVD player and VCR if you want to bring some videos, and the TV can replicate your phone if you want to use it to stream Netflix, but there's no cable and the TV doesn't seem to stream by itself. 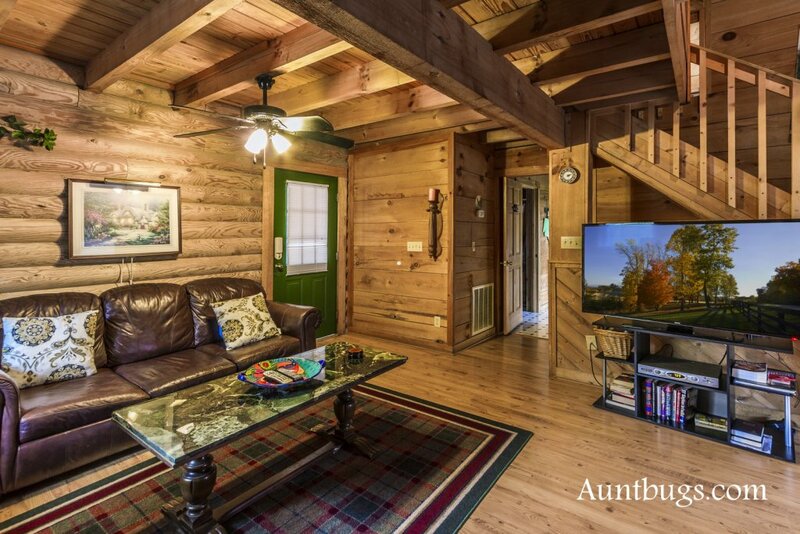 The downstairs was like a mini cabin Pool table, full bath, sofa, table, tv, private deck w/ hot tub. Daughter and boyfriend loved it, so did we. Both bedrooms on top lv. 1 for us 1 for daughter. 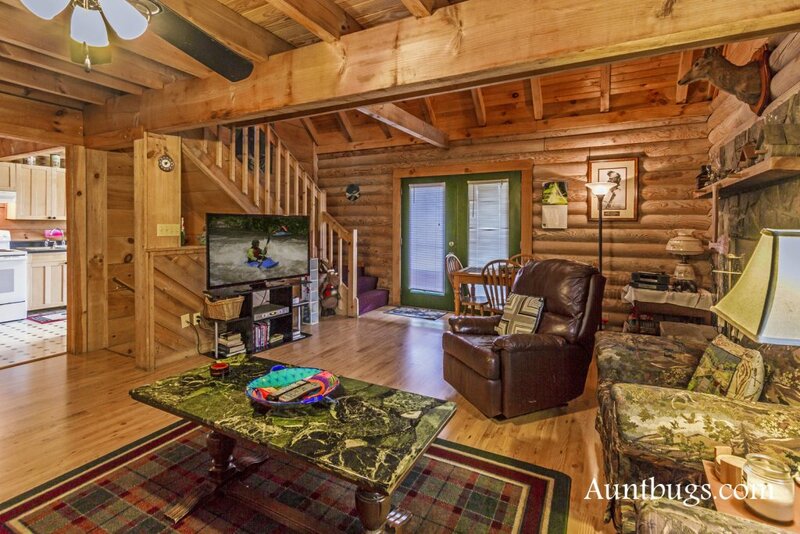 Middle lv lrg tv, plenty of seating and great kitchen w/wrap around porch. Gass grill and picnic table were great. 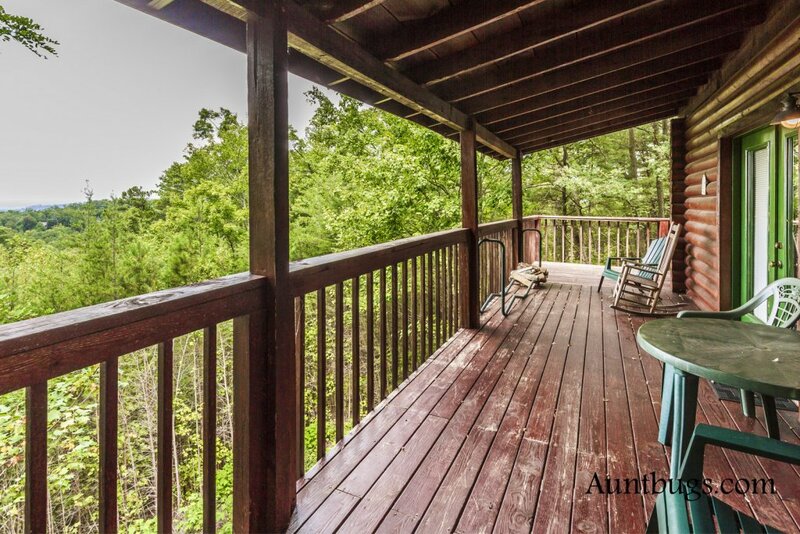 Front porch swing and back porch chair were great for coffee mornings. Make sure to bring dishwasher deter. coffee/round filters and extra toilet paper none supplied. Our boxer dogs loved it. 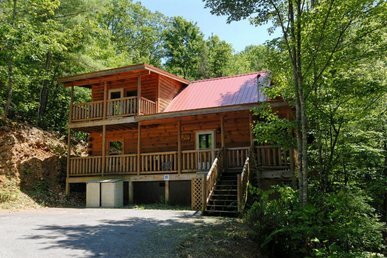 A little whindy and steep to get there but very convenient to pigeon forge and gatlinburg. 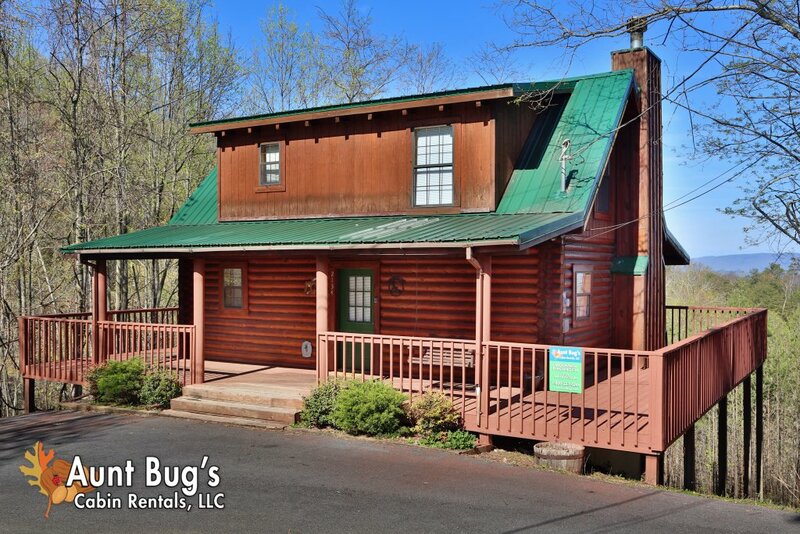 Sarah at Aunt Bugs rentals was amazing. They have best discount on tickets to Dixie Stampede. we have used them twice before and will next year also. Please enjoy your stay here. 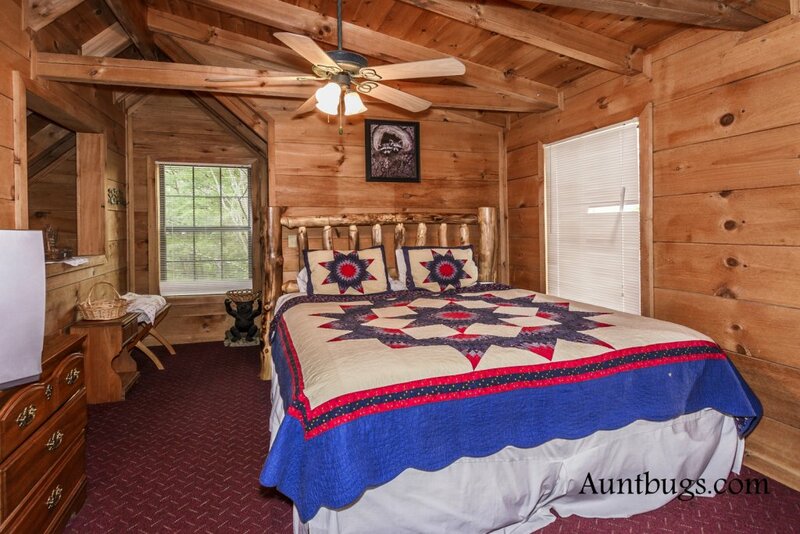 Buddy Bear needs new beds! 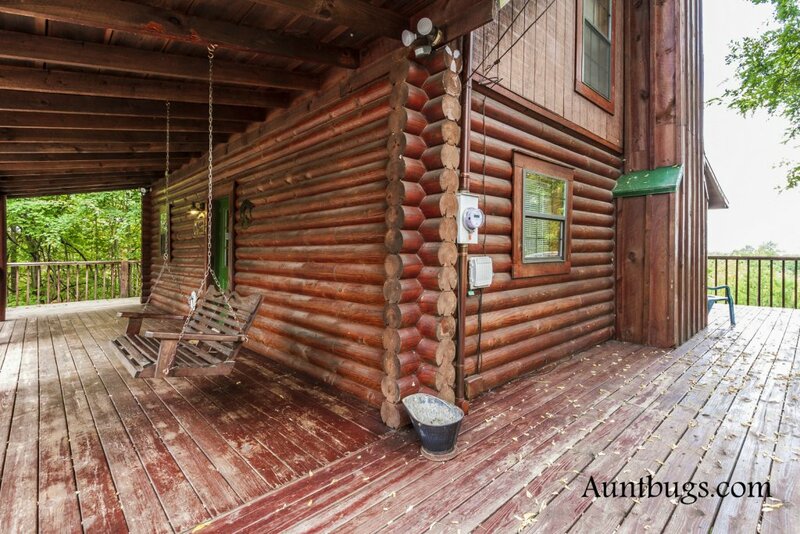 The cabin was beautiful and we loved everything about it except for the beds. They both were awful. The one upstairs squeaked and creaked everytime one of turned over that we woke up feeling exhausted from being woke up 100 times during the night. We switched rooms with the kids and their bed was a little better, but not much. We could then still hear the bed upstairs everytime one of them turned over. 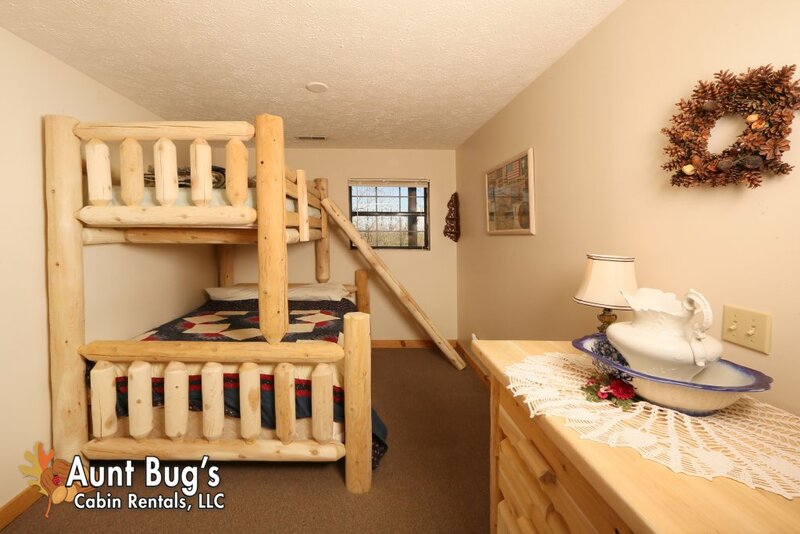 If not for the beds, it would have been a perfectly restful vacation. The rental had its ups and downs. The view was gorgeous, the weather was great. 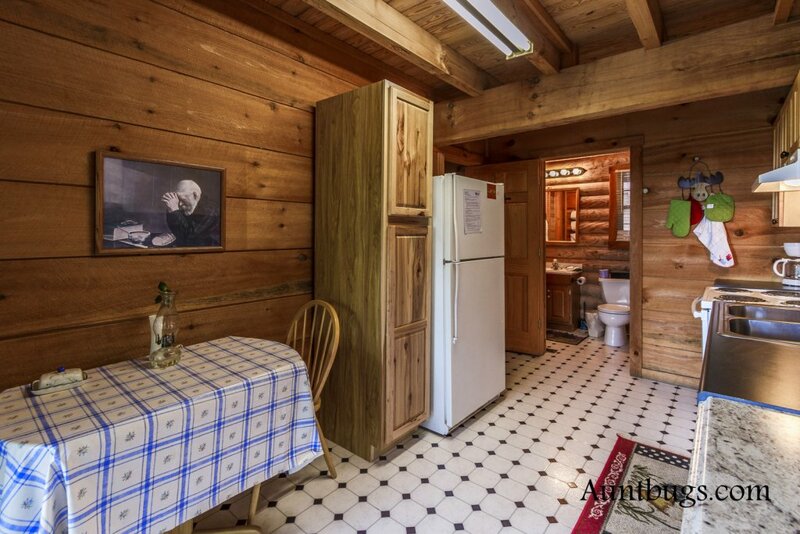 The cabin was acceptably clean, there was propane in the grill and firewood in the rack (which we did not use, but the thought was appreciated). 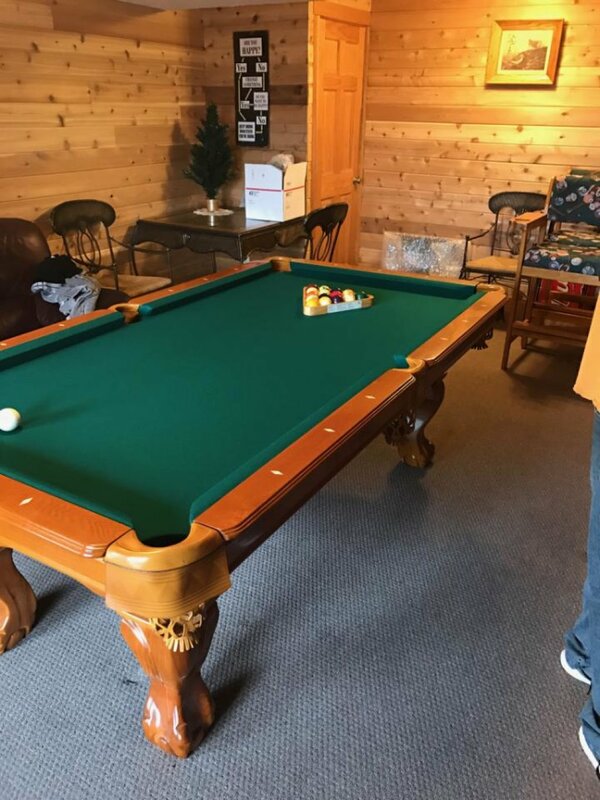 The furniture was in good shape, except for a couple of broken deck chairs and one billiards chair in the basement, which had a broken seat.The hottub was falling apart. The refrigerator door did not close properly. 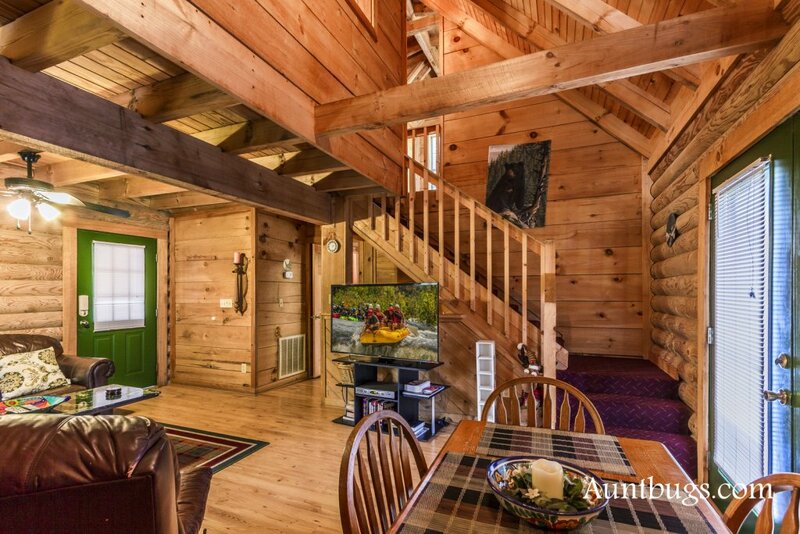 There was no remote for the TV in the upstairs bedroom, the TV in the main room would not shut down properly, and several of the light fixtures and lamps did not work properly. The drive up was steep and interesting, but part of the experience. Overall, we've had better experiences in the area. We do apologize that you did experience these problems in the cabin, and we do hope you will give us another chance to make things right! Make sure to mention you are a repeat guest for additional savings, and thank you for the valuable feedback! How wonderful that you got to experience our beautiful wildlife up close! 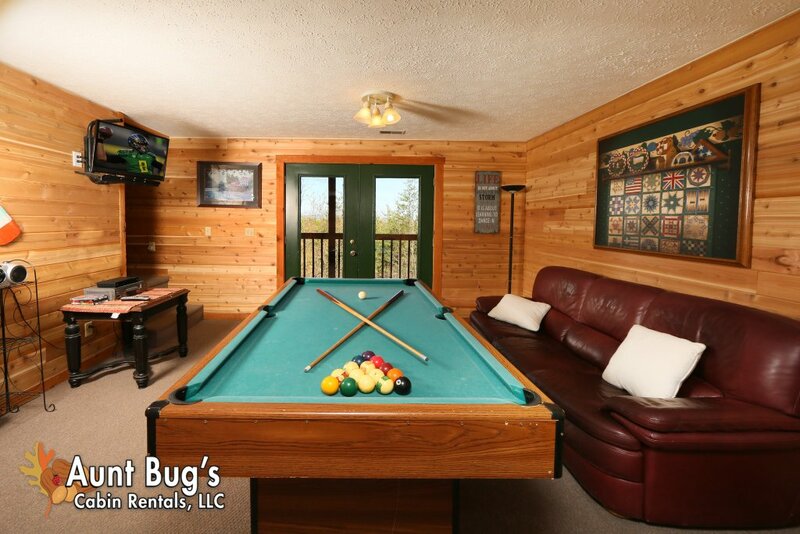 We hope to see you again real soon, and make sure to mention you have stayed with us before to receive our Repeat Guest discount. 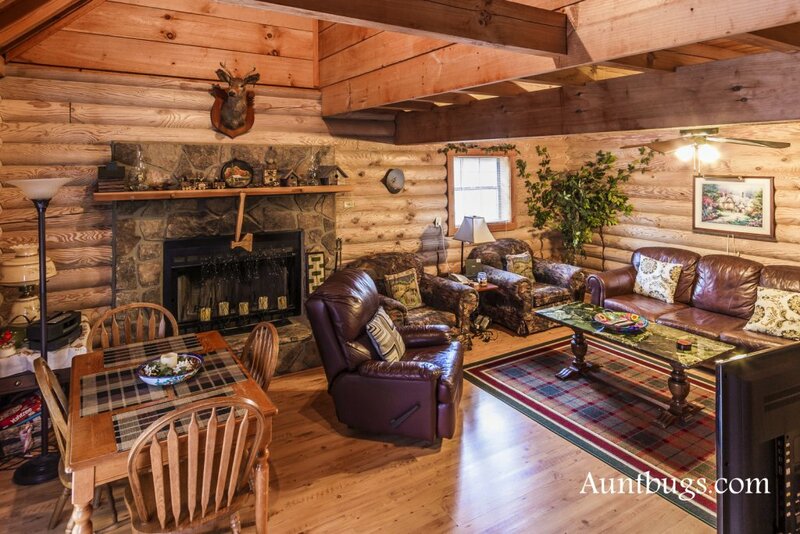 Mountain Perch is by far our Favorite Cabin rental to date. The scenery was breathe taking, my Sunset pictures could be postcards. The wildlife that past thru was so much fun to view and capture on my camera. 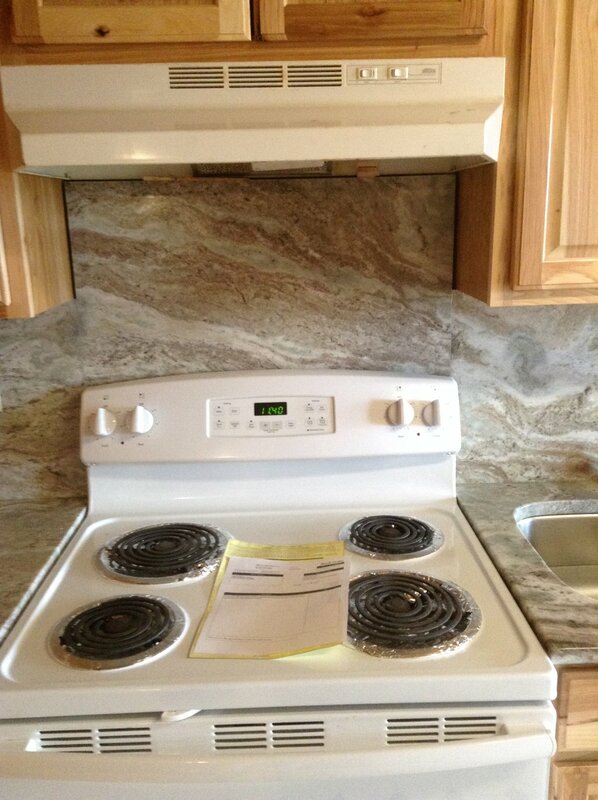 The kitchen was so clean and updated, liked all the extra pots, pans, and baking pans. The TV was great in the LR. Lower level was perfect for another Family member. Needed a closet in the basement, a cleaning day just for cobwebs hanging from all beams. We will make sure to get the issues fixed, and we are glad to hear that you did enjoy your stay. 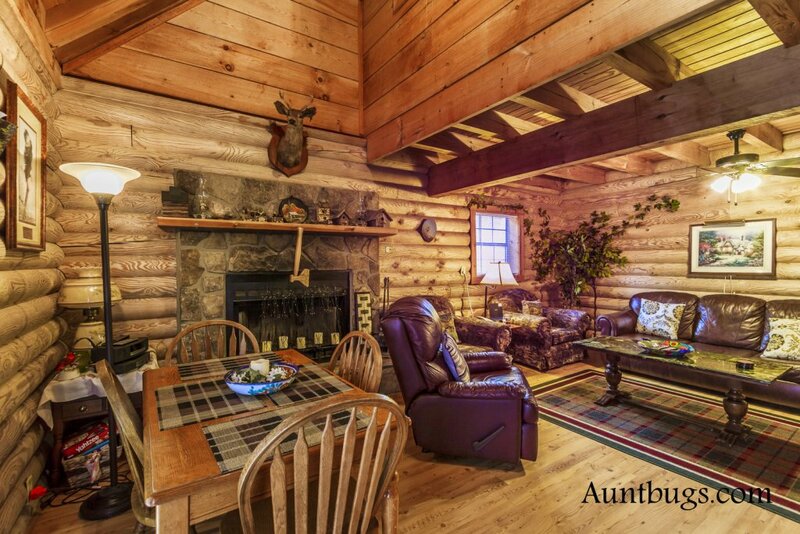 We look forward to seeing you again soon, and make sure to ask about our repeat guest discount. Great stay, pleasantly surprised by the extra space downstairs! 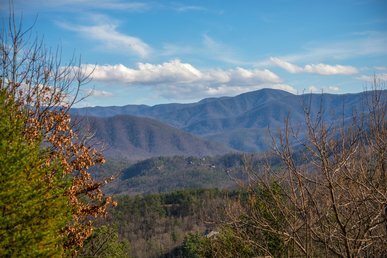 Our family had a very nice time at Mountain Perch. It was nice and clean and had everything needed to enjoy the few days we were there. 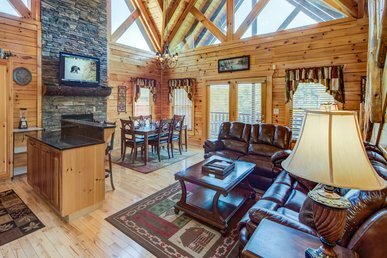 We are happy to hear you enjoyed your stay with us at Mountain Perch! We look forward to seeing you again in the future, and don't forget to ask about our Repeat Customer discount! We had a wonderful time. 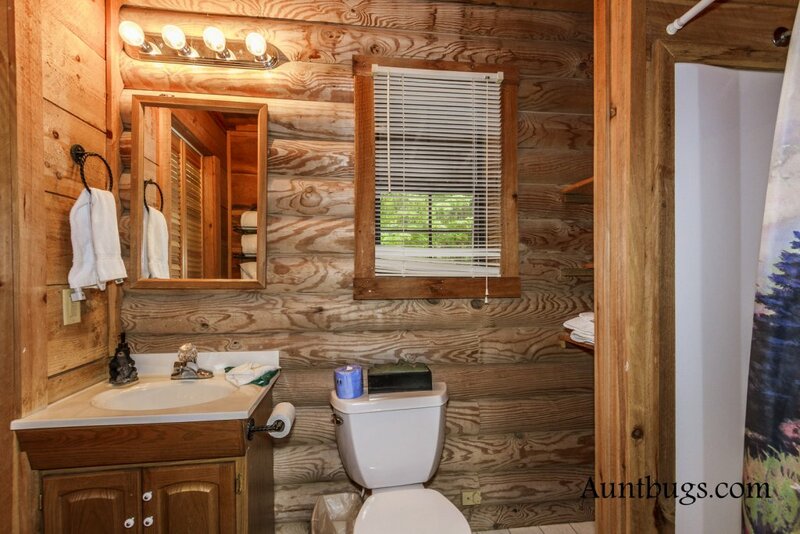 The cabin was clean and comfortable. The staff was very helpful.